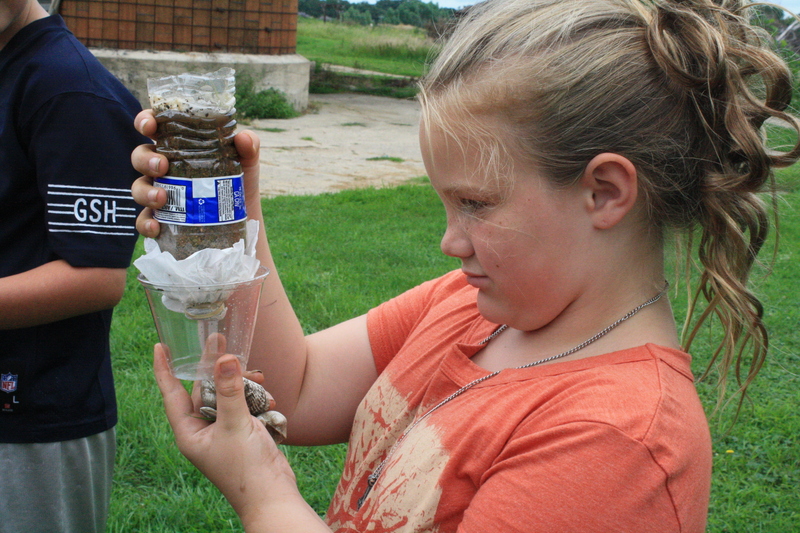 The Dickinson County Nature Center is open year-round and is a mecca for environmental learning and fun. There is always something to see and do, whether it be a visiting exhibit or some of our permanent displays. Plus, it’s all FREE! See painted turtles, an ornate box turtle, red-eared sliders, a baby snapping turtle, salamanders, a frog and toad, a hedgehog, snakes, a tarantula, fish and more! NEW for 2019! This augmented reality sandbox lets you create your own landscape and see how water moves through your watershed. Jump on a fen, climb a kame, walk along an esker and end inside a glacier to dig for fossils! The interactive glacial landmark tour is fun for all ages. See a replica osprey nest and osprey photo opp inside the nature center, and April-September watch the osprey nest and raise their chicks in Kenue Park. 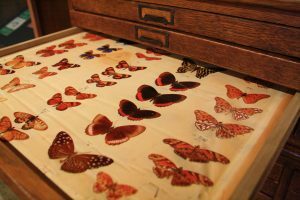 Other than the Smithsonian Museum, the Dickinson County Nature Center is the only public entity with rights to photos from Alfred R. Wallace’s collection, found in an antique cabinet by an Okoboji native. Follow a trail of moon boots and stars, jump on the moon, view lighted constellations, play with nocturnal animals and create constellations on a magnet board! Climb through a human-sized honeycomb and watch live honeybees inside an indoor beehive. Plus, check out exhibits under construction! 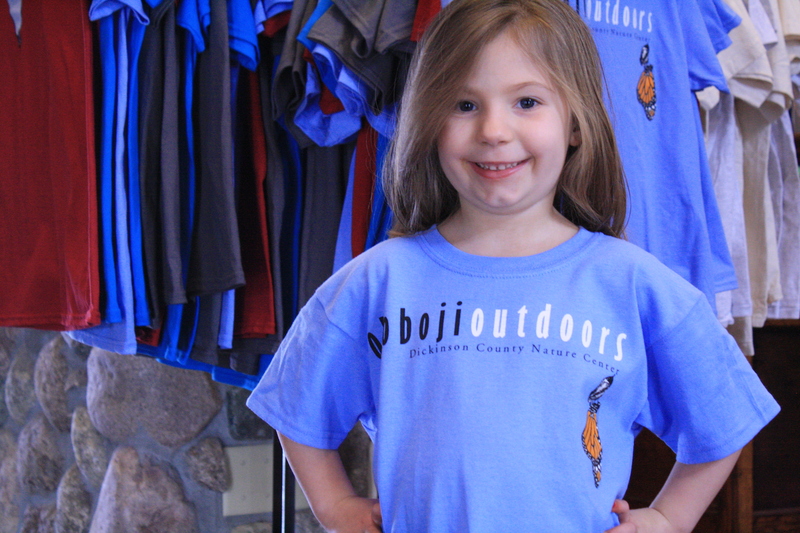 Find unique gifts such as locally-made goat’s milk soap, Okoboji Outdoors T-shirts, stuffed animals, pollinator costumes and more in the Nature Store! Conservation Foundation of Dickinson County members receive 10 percent off purchases. In addition to free admission, nature center educators also provide free programming year-round to the public. 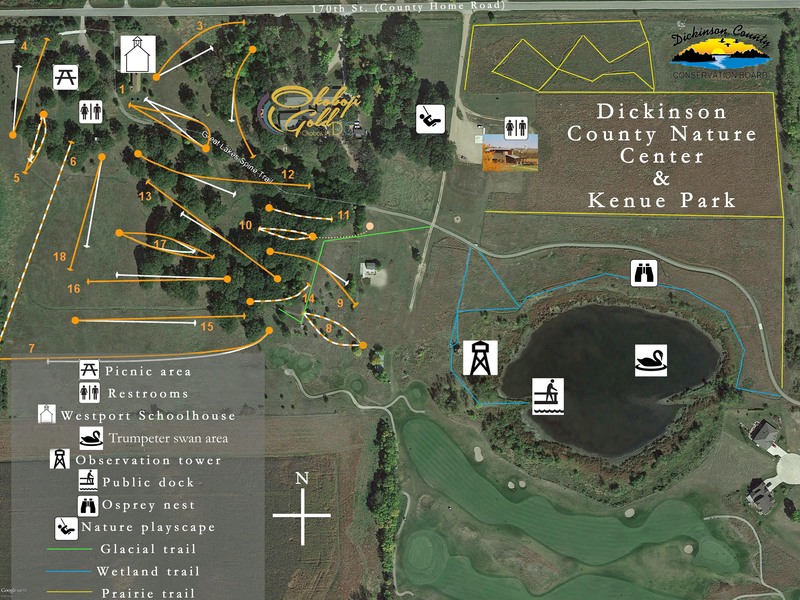 In addition to the wonderful educational opportunities inside the Dickinson County Nature Center, Kenue Park also features geocaching, mowed trails through the prairie and around the wetland that is home to two rehabilitated trumpeter swans, an 18-hole professional level disc golf course, a fantastic Nature Playscape and paved trails that are a part of the Dickinson County Trails system. Interested in volunteering at the nature center?